Home Dog Care Antibiotics for Dogs: Can You Give Dogs Human Antibiotics? No one likes to see a sick animal. It is heartbreaking. When you add the cost of a visit to the vet, then it only adds to the stress of a poorly pooch. Some pet owners try to forgo some of the costs of dealing with a sick dog by using medications they already have in the bathroom cabinet. But, can you give dogs human antibiotics? 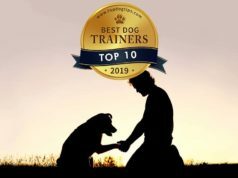 We'll explain the exact answer to this question in this article, but for safety purposes it is ALWAYS best to consult your veterinarian before giving your dog any kind of medicine that has not specifically been prescribed by them. Whether it's an over-the-counter pain reliever or a prescription medication that you have leftover, the only way to be certain that it will be safe for your pet is to ask your vet before administering it. Antibiotics are typically used to cure infections caused by a variety of microorganisms. These microorganisms could be bacteria, fungi, viruses or protozoa. The type of antibiotic needed will depend on the type of microorganism that is infecting your pet. Do you know what type of infection your dog has? Do you know what type of infection can be cured by the antibiotics that you have on hand? Chances are, the answers to these questions are no. When it comes to your beloved pet, it's always better to be safe than sorry. You don't want to take the chance of making Fido's condition worse. Can You Give Dogs Human Antibiotics? For some, vet visits and pet insurance can be too costly. This leaves many a pet owner having to play doctor and treat their poorly pooch themselves. There are many aspects of a dog’s health that the owner can cover themselves. Worms – Your dog can get these from the grass, while out on a dog walk. Some of the common ones are, hookworms, whipworms, roundworms, and tapeworms. It helps to know what type of worm a dog may have, because treating each type can be different. With the help of the internet, you could soon have your remedy and a much lower cost than a vet visit. Fleas – This can be another annoying health hazard that your pooch can pick up from a walk. There are ways to pre-protect your dog for months at a time. Again, do your research. In the end, it will cost less than a vet bill and make for a happy, non-itchy pooch. 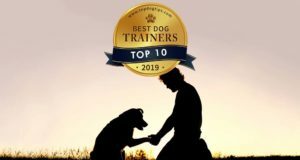 Obesity – We can all tackle this one by giving our dog only healthy food that a dog should eat, and not high fat or sugary treats, feeding twice a day, ensuring Fido only gets a few treats a couple of times, even then only as a reward. You can then check online for the normal weight, on what your dog’s breed or size is. No costly vet bills for this one, just a keen eye and a healthy diet. In reality, only a vet should prescribe medication. 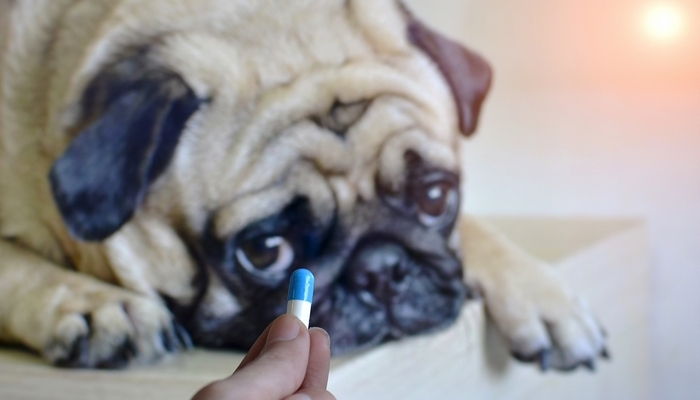 The wrong medication, or the wrong dose, could make your dog even more poorly. The problem comes when there is no pet insurance, and no money to pay for the advice of a vet. It is possible to research symptoms online. 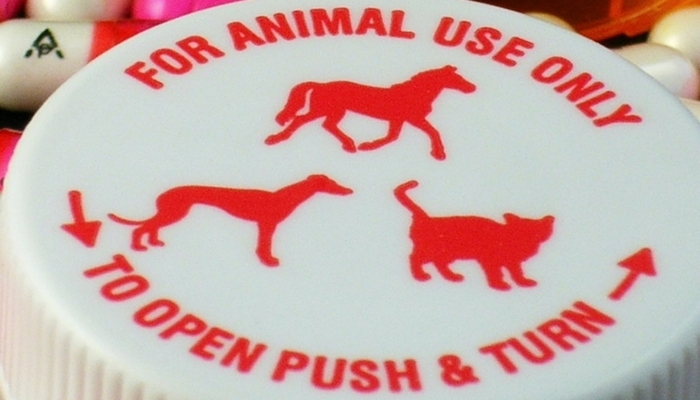 There are more and more pet medications becoming available this way. For many illnesses, especially infections and viruses, it can involve taking of a course of antibiotics. The question arises: can you give dogs human antibiotics? Let’s first note that, as with the treatment of worms, different illnesses require different types of antibiotics. Some work internally, while others work on the external part of the body. You might just happen to have some Amoxicillin left from your own prescription, and thinking of giving that to your dog. Can you give dogs human antibiotics? The short answer to that is, yes, but in reality it is more complicated. 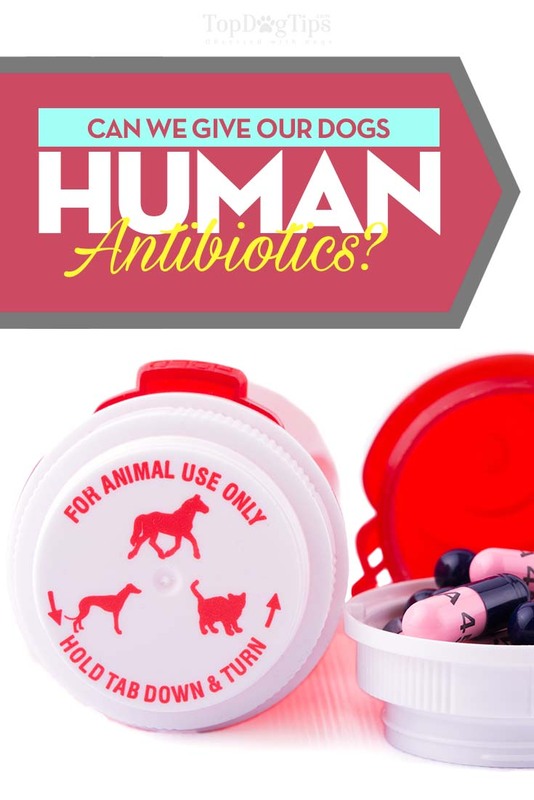 Human antibiotics are different than animal antibiotics. They may contain Xylitol, which can be harmful to your dog. Check the ingredients and if Xylitol is present, then under no circumstances give this to your dog. If the antibiotic, or other human medication is Xylitol free, then if you follow precise dosing based on your dogs size, it should be safe to use. A side effect with antibiotics is often diarrhea, you can help reduce this risk if given at feed time. For a useful chart, go to The Dog Place. This will guide you with dosages on various human medications that are safe for your pet. Can you buy animal antibiotics without going to a vet? Yes, you can buy medication online. Most sites will take you through your dog's illness. They will prescribe the right treatment on the information you have given. Prescription medication is still signed off through a vet. This way reduces costs, because you do not need a face to face consultation. Asking can you give dogs human antibiotics isn't the only question you should have. What are your other alternatives? There are natural antibiotics that you can give your dog on a regular basis. These will serve as a preventative build up against bacteria, particularly in the gut. Has many beneficial effects on your pet, and can be a safe alternative to medical antibiotics. A study by an English university, indicated that oregano oil can help with fungal infections such as candida. It also kills giardia andeven and helps with MRSA. This is nectar from a tea tree, and has antiseptic and arthritic properties. Great for treating cuts or wound infections. Also good for internal conditions such as kennel cough. A natural medicine that has been in use for a millennia, as a natural antibiotic. Said to boost the immune system. Also kills fungus. There have been studies that show it can be effective as an antibiotic. Can be administered orally, or breathed in. Used on a daily basis. Upset tummy, such as sickness and diarrhea, can clear up if treated with probiotics. Foods with this ingredient, have natural live bacteria. Easy to by online for pets, and a cheaper option than a vet bill. These are just a few suggestions of preventative measures. If your pet has an infection, then you can ask your vet, “Can you give dogs human antibiotics?” Listen to their advice, and always do what is best for your pet! If you are unsure, or your dog appears to be getting worse, then stop. It is time to take your pet to the vets and let the experts help your pooch.